Winnebago approached Chronos Interactive to streamline and support the training and sales process for their dealers. What started as a simple project quickly grew into three unique applications and our partnership with Winnebago and DKY has lead to happy clients and continued success. 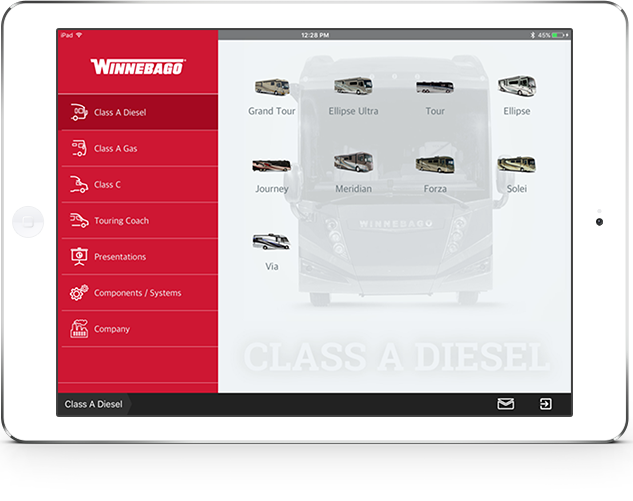 Two of the apps are used by District Managers to provide training, education and marketing and sales support to Winnebago dealers across the US. 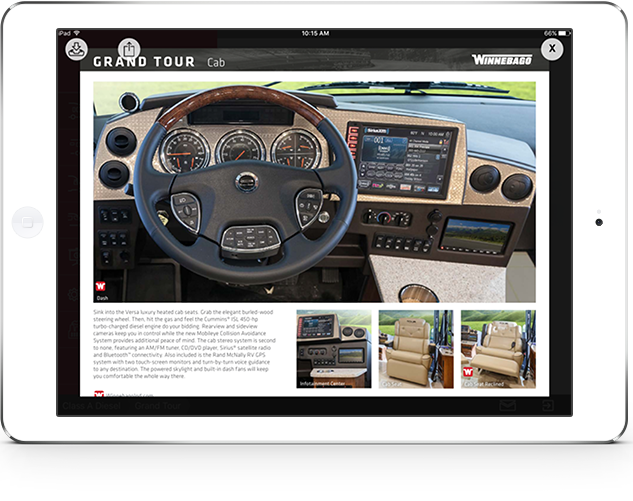 The third app is distributed to winnebago dealers and provides a complete reference of the winnebago line of products including brochures, tech sheets, videos, galleries, floorplans. Chronos’ proprietary Castio technology was put to good use with Winnebago, allowing their clients and agencies to access and edit and control the content and structure of all three apps in order to target their appropriate market. The CMS was built and designed specifically to allow creative freedom for the agencies, with limited assistance needed from Chronos.